The Woodworker and I like to go walking in the early morning hours on Saturday. Today was a beautiful day to do that! Sixty-five degrees out, not too humid, the sun was starting to come up, and the birds were talking to us all along the way. We’ve had a lot of rain the past two days, which we really needed. 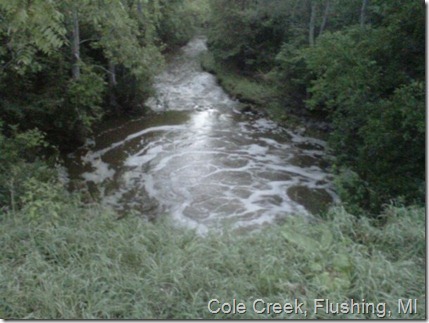 Near where we live, there is a creek that flows under one of the main roads. In the summertime, the police have an extra job to keep the neighborhood teenagers from swimming in the creek. We walked by the “swimming hole” this morning, and with the added rainwater, there was a pretty good eddy going. You could hear the water rushing; it actually was pretty loud! 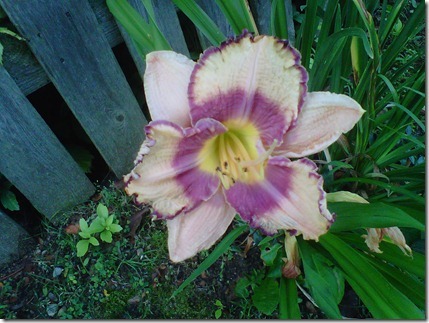 My daylilies have been sluggish this summer, what with the lack of rain and all. I finally got a few that wanted their pictures taken. « What is an applique’ quilt? I'll bet that rain and bit of cooler weather is a real treat. 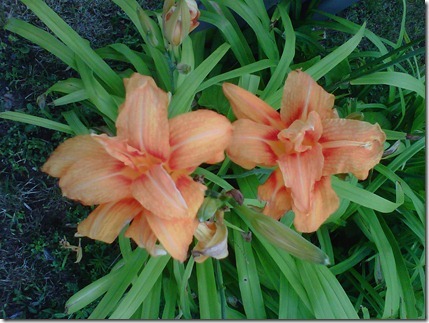 Those day lilies are lovely and certainly worth the wait. 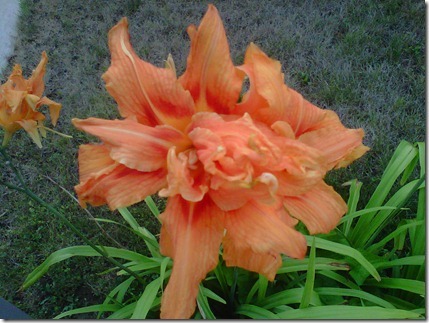 Your flowers are gorgeous! It was wonderful to get that rain, wasn't it?